“Mable Petty, who lived right across the street from us, was our best friend. She was Tiny’s age but played with all of us and was almost like another sister. Her daddy was a postman, and they did not have a lot of money, but Mrs. Petty wanted Mable to have everything that the Evans kids had. Mama always said it must have been quite a struggle for poor Mrs. Petty to try to get her every toy that we got. If we had a tea party and did not include Mable then pretty soon Mable would be out in front of her house having a tea party too. “We played some over at Mable’s house too, and I liked going over there. She had big figurines in her living room, and Mr. Petty told me that he got them from under the ocean, and I believed him. They had a garden and fig trees which we liked to play under and pretend we had a house there. I wonder now which of the neglected homes on that block of Strong Avenue belonged to the Pettys, and what became of Mable and her mother after Mr. Petty’s death. 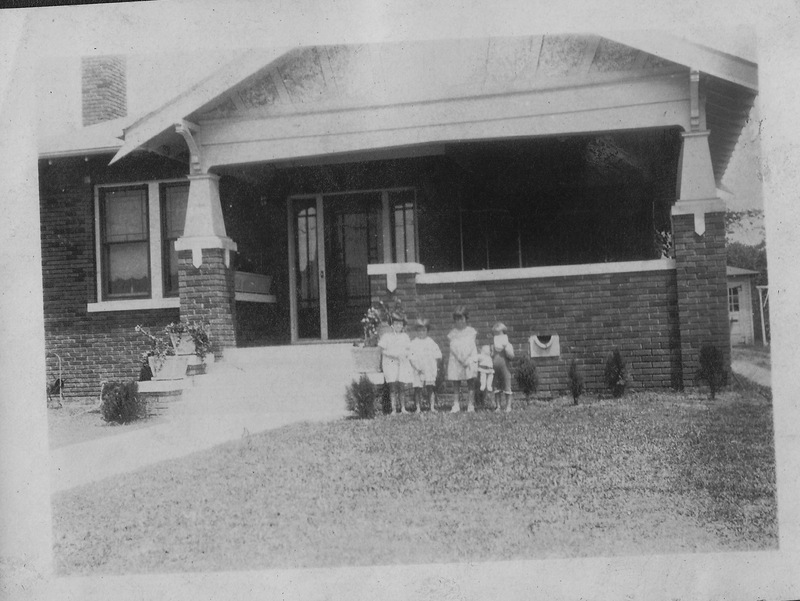 The Depression was looming and the Evans clan would soon be gone for their three years in Jackson, never to return to the brick bungalow on Strong Avenue. So many questions. Including this one: Why doesn’t anyone name their baby girls “Mable” any more?